We treat all of our patients royally here at Advanced Cosmetic & Laser Dentistry, but some of them receive actual crowns. 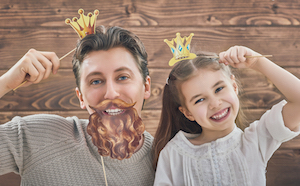 We’re not talking about crowns a king or queen wears, but crowns for your teeth! If you live near Seattle, our practice is a great place to get your teeth looking better than ever. And putting a crown on a tooth with problems could be just what you need to attain a sensational smile. If you feel like you have a need for a crown, don’t look any further than Advanced Cosmetic & Laser Dentistry. Our dentists and lab techs have the experience, training, and proficiency to make sure your crowns are fabricated and placed correctly. There are many different kinds of crowns that serve different purposes. We carry out a comprehensive examination to ensure the crown you get is perfect for you and your smile. We then prepare your tooth so that the crown will fit the way that it should. Once the tooth is prepared and ready, we use state-of-the-art tools to fit the crown on your tooth. When done properly, crowns can last many years. Crowns are outstanding way to safeguard and enhance your smile. Schedule a coronation today! ‹ Affordable Teeth Whitening In Seattle? Use the form below to ask a question about Schedule Your Coronation and one of our expert team members will get back to you shortly.